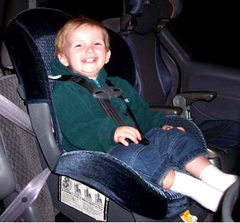 Posted on Fri, Mar 23, 2012 : 9:38 a.m.
On Saturday, April 14, from 10:00 a.m. - 2:00 p.m., Safe Kids Huron Valley’s certified Child Passenger Safety Technicians will host a free child car seat inspection for parents and caregivers at LaFontaine Nissan, 2530 E. Highland Road, Highland, Mich. Girls on the Run of Southeastern Michigan announced today that it’s executive director, Danielle Plunkett was the recipient of the 2011 ATHENA Leadership Award. By: Nick: GlobeMed at the University of Michigan Benefit Reception on March 30th at 7:00 p.m.
By: Food Gatherers: New volunteer opportunities for busy gatherers!